With So Many Trucking Companies, Why Choose Sharco Express? Some carriers are service-driven. Others are cost-driven. We are both. The very last thing any shipper wants—especially in the auto industry—is to worry about their freight not arriving in time or in one piece. Peace of mind from knowing your carrier is as reliable as the morning sun is our goal. New Freightliner Cascadias and telematics technology deliver maximum uptime and minimal service failures. Tire pressure monitoring/inflation on all equipment to further improve uptime. Wide base single tires and aluminum rims on all trucks 2017 or newer reduces weight by almost 1,000 lbs. and increase maximum payload. MacroPoint integration via telematics partners – Omnitracs + Spireon – for all equipment. 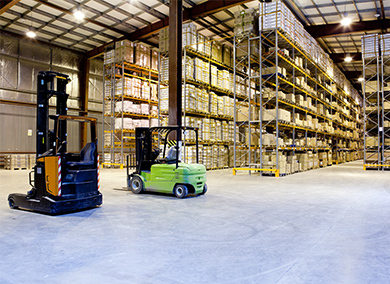 24/7 service with dedicated managers who handle both sales/operations. You always work with the same team. Our scale allows us to negotiate wholesale fuel discounts that small fleets and owner-operators cannot qualify for. Our investment in fuel-saving technology has increased our fleet MPG significantly over less sophisticated competitors. Drivers are true 1099 contractors, resulting in driver wage costs that are 15% lower than W2 equivalents. An extremely lean office staff of 6 people manages the entire operation from a single office, resulting in overhead costs around half of similarly-sized companies. New equipment almost eliminates on-road maintenance costs and results in lowest TCO. These factors add up to a cost structure that is as competitive as any similarly-sized company. Guaranteed. If you're serious about driving, we're committed to you. Fill out this form and we'll contact you right away! "I was born to drive. But after I got married and had kids, I hated the long hauls. Sharco gave me the best of both. Great trucks, short runs, and the flexibility to be home with my family when they need me." -Jimmy K.
More Home Time. Competitive Pay. Join the Sharco Team and Drive Your Way to a Better Life! Sharco Express offers career-minded CDL-A Drivers the opportunity to drive for a company who truly cares about their drivers. We are a family-owned company, established by drivers, for drivers. We understand that without happy, dedicated drivers, we wouldn't be where we are today — one of the leading trucking and logistics companies in Michigan. 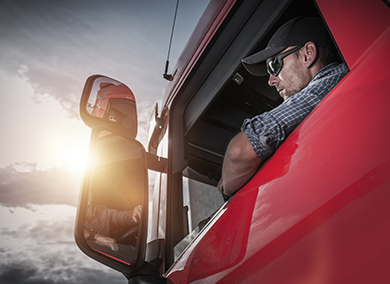 If you're a hard-working driver ready for a long-term career with an established Michigan-based company, we want to hear from you! The contents of this webpage are Copyright © 2019 Sharco Express. All Rights Reserved.